When I flew back from Phuket to Singapore on SilkAir, I noticed that the terminal building was different from the one that I was in back in 2015 when I visited the Hyatt Regency Phuket Resort. 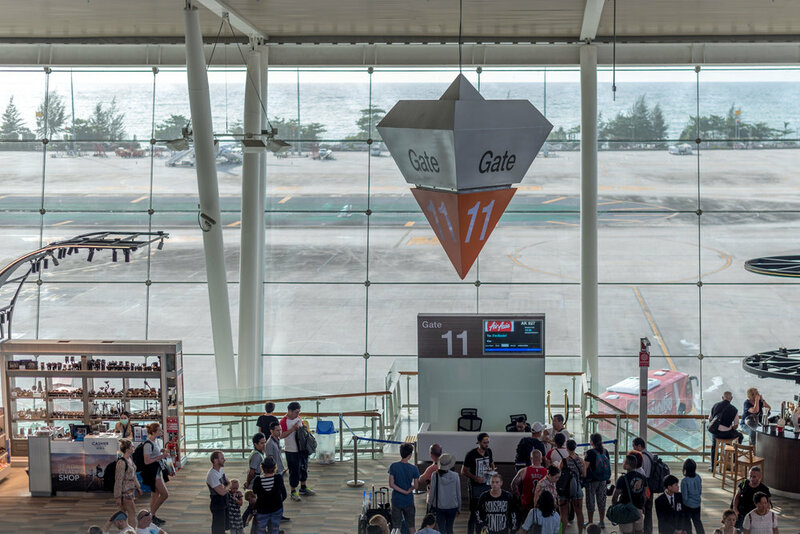 Apparently, this relatively new terminal building at the Phuket International Airport was only completed back in 2016 - capacity is estimated to be at five million passengers per year. While looking for access to The Coral First Class Lounge, I realised that the The Coral Executive Lounge also provided a First Class VIP Departure Fast Track Service that I took the opportunity to check out during my visit. Click HERE to find out more about The Coral Executive Lounge! If you opt for the First Class VIP Departure Fast Track Service (International Departure), you will be advised to have your ride drop you off at Door 3 of the Phuket International Airport. When I got there, I was quickly met with a lady holding a board with my name on it as well as a porter (in a suit!) who immediately assisted me with my luggage. Unfortunately for me, I wasn't flying on Business Class this time round and therefore, there is a rather long queue at the airport to drop off the baggage. I was quickly ushered to the International Arrival Lounge that The Coral Executive Lounge operated while the porter waited in line on behalf of me. When it was my turn, I was then escorted back where I got my boarding pass and checked-in my baggage personally. Following that, I went through immigration quickly (there is a dedicated line for fast track passengers) and was quickly shown to The Coral First Class Lounge. There are two airport lounges that are operated by The Coral Executive Lounge here at the Phuket International Airport's new terminal building - The Coral Executive Lounge as well as The Coral First Class Lounge which I was in. If you hold a valid Priority Pass card (yes, even the one you got for free by holding the right credit cards), you will have access to The Coral Executive Lounge. The Coral First Class Lounge is not a participating lounge in the Priority Pass program and it can only be accessed by invitation (e.g. flying on Business Class with certain airlines) or by payment only. The Coral First Class Lounge in the international terminal of the Phuket International Airport has various seating configurations. I chose to sit in the main area but there are pockets for semi-private space for travellers who prefer to wait in quieter areas. The lounge was empty (with the exception of staff of course) when I visited so I quickly took advantage of the situation to snap more pictures. There was a sign at the back of the lounge saying that it was reserved "for First Class Passengers" only which I thought was strange since everyone in this lounge should be classified being one. Perhaps when The Coral Executive Lounge gets really crowded, some of the crowd spills over to The Coral First Class Lounge? Not too sure but it certainly was not a consideration for me during the visit. Coffee and tea is served here in The Coral First Class Lounge - tea bags are provided by Twinings and coffee is from a machine so do not expect too much if you are in need of a decent espresso. If you prefer to have something without caffeine or you simply want a chilled beverage, help yourself to a selection of drinks in the fridge. Alternatively, if you prefer to have an alcoholic beverage, you may help yourself to a can of beer which can be found in the fridge as well. The food selection here at The Coral First Class Lounge is modest but it does have a selection of salads, snacks, hot food as well as a counter for canapés (I believe these rotate from time to time). Personally, I was not too keen on having a salad prior to my flight (where's the joy in life?!) so I just looked past it and went straight for the hot food instead. While the canapés were not ready by the time I got there, it was brought out about 30 minutes in so I do believe these are different during the different times of the day - looking at photos on LoungeBuddy, I could see that sometimes desserts were served instead of the smoked salmon and shrimp cocktails that were available during my visit. The presentation of these cocktails (I wish they were alcoholic cocktails but no) was beautiful though! I also took the opportunity to have something lighter before my flight since the food served onboard SilkAir is always slightly disappointing (KLM does it better for short-haul flights!). The green curry served in the lounge was pretty decent and strangely enough, I felt like I haven't had enough Thai food during my whole trip. I could not resist the temptation of getting a beer (well, one for the road) before heading out of the lounge. If you do need to use the restroom, there is one located within The Coral First Class Lounge but for some reason they were closed during my visit. Conveniently enough, there is another restroom located just outside the lounge - this is a public restroom however. The Phuket International Airport looks out to the beautiful Andaman Sea and if your flight is departing in the evening, there are various spots where you can take a photo of the sunset from. The Coral First Class Lounge which is located on the upper level, overlooks the transit area of the airport as well as the tarmac and sea. 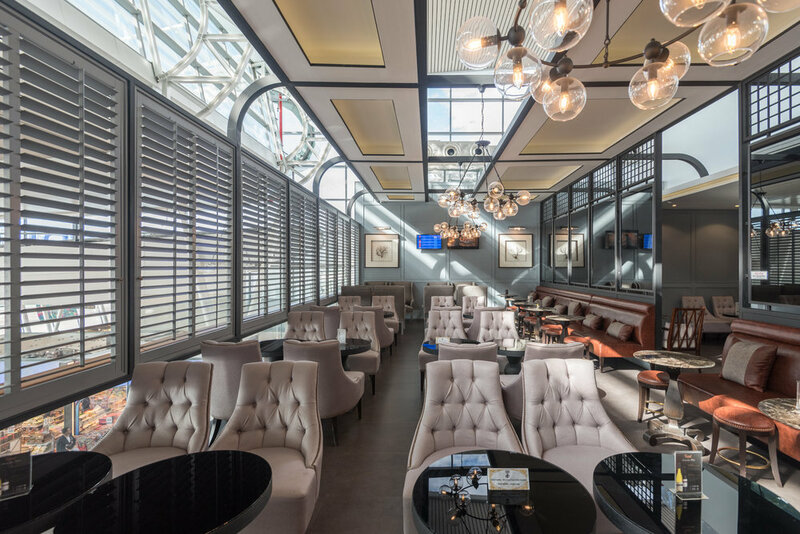 Since the terminal is relatively small, getting from The Coral First Class Lounge to the boarding gate does not take you too long at all so feel free to stretch out and enjoy your time in the lounge - there is no rush! While The Coral First Class Lounge is no way comparable to flagship airport lounges around major cities in the region, I thought that it was one of the best ones I have been to in terms of contract lounges. The space itself is beautiful and it is a huge step up from the previous Coral Lounge that I was at in the old terminal building (now used for domestic arrivals and departures). 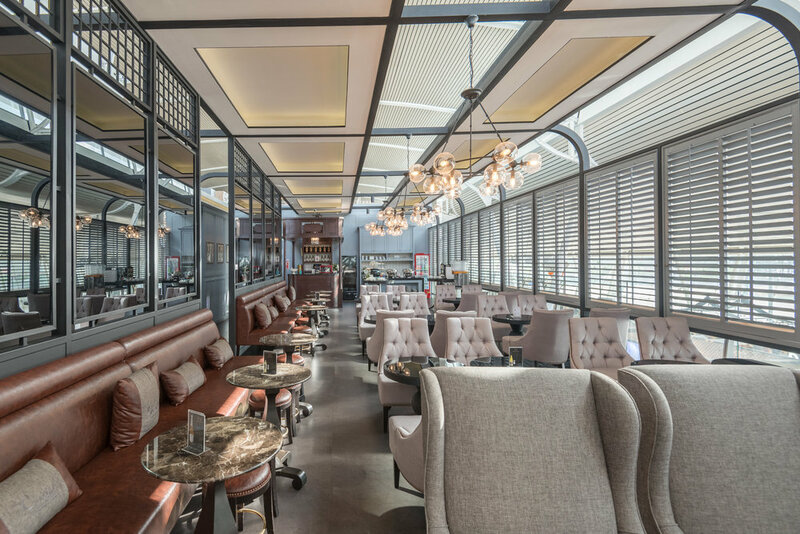 If you are lucky enough to use The Coral First Class Lounge over the business class one, you will notice how much quieter it is and having more space to yourself when traveling is always a good thing.